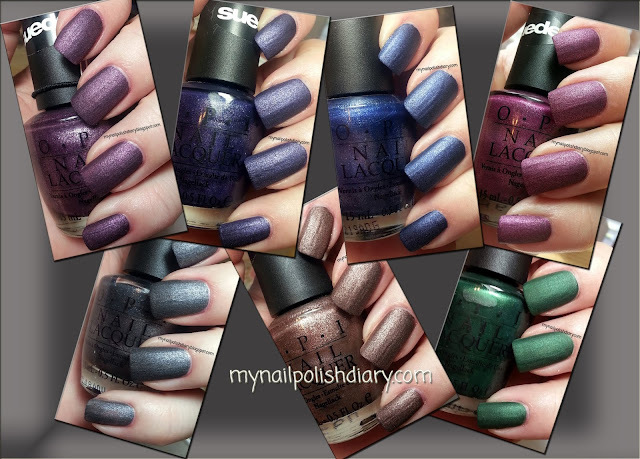 OPI released the Suede Collection in the fall of 2009. They were instantly popular. I personally love them! As promised here is the entire collection. It's picture heavy so I put the pictures after the break. 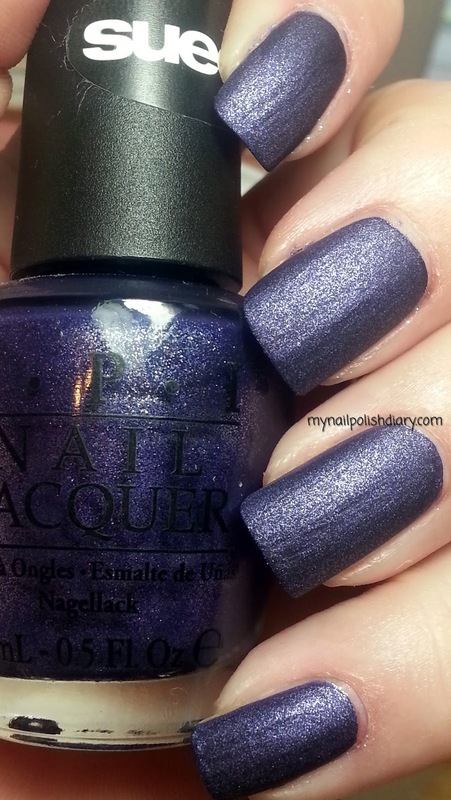 OPI Lincoln Park After Dark Suede.Gorgeous deep purple with silver shimmer. More detailed original post. 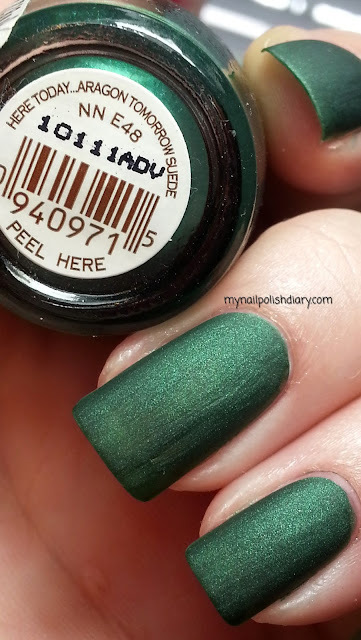 OPI Ink Suede. Deep blue with silver shimmer. More detailed original post. 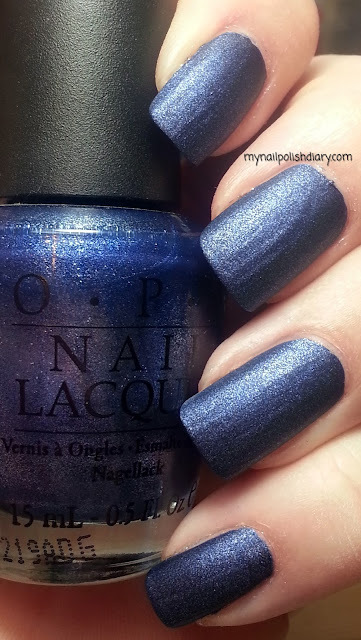 OPI Russian Navy Suede. Medium navy blue with silver shimmer. More detailed original post. OPI Suzi Skiis In The Pyranees Suede. Charcoal grey with silver shimmer. More detailed original post. OPI We'll Always Have Paris Suede. Fuchsia pink with silver shimmer. This is the one I was most excited about trying when I first saw this collection. More detailed original post. OPI You Don't Know Jacques Suede. Medium brown with golden shimmer. More detailed original post. OPI Here Today Aragon Tomorrow Suede. 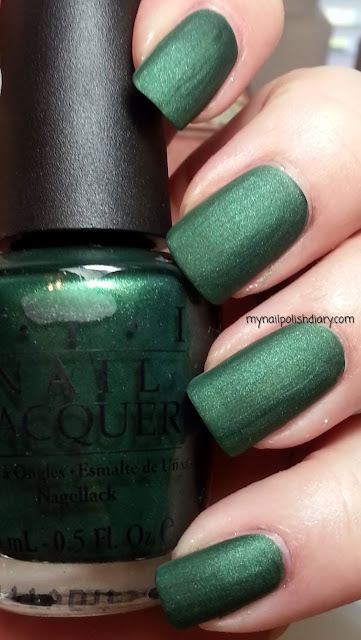 The perfect shade of green with silver shimmer. Oh my do I love this! More detailed original post.